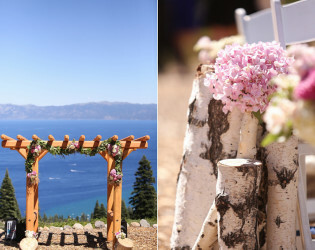 Whatever the weather, this winter (and summer) wonderland in West Lake Tahoe is sure to be a hoot of a "home" run. Be it an intimate ceremony or lavishly large shindig, this lake and mountaintop view venue shines brightly. 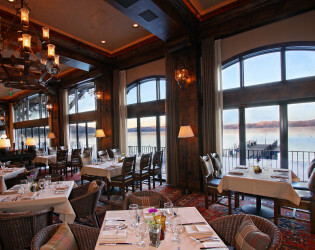 Bonus: lakefront lodging for your lovelies. 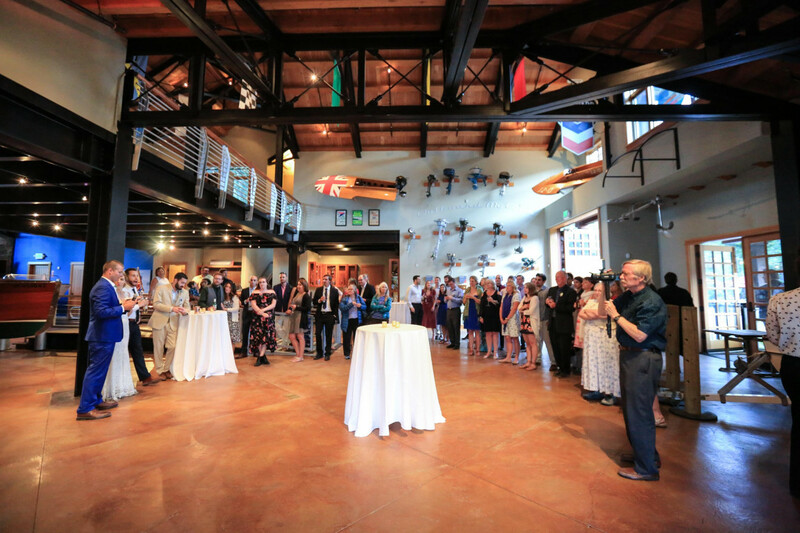 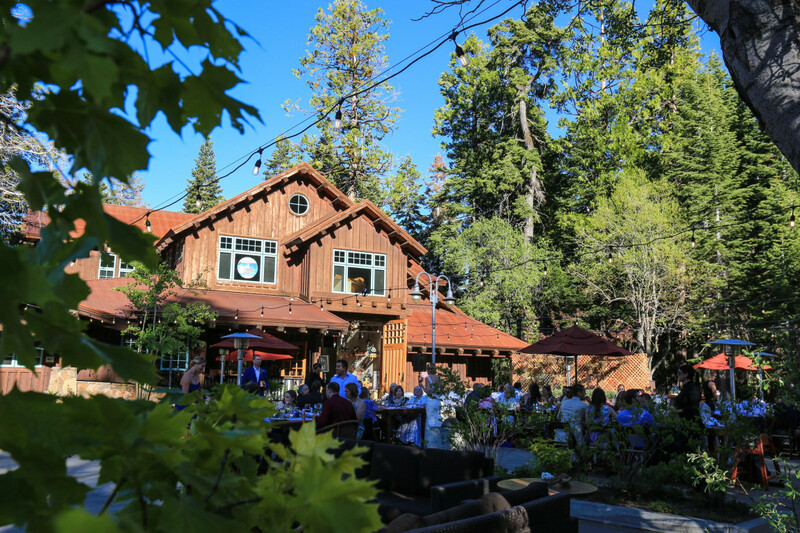 The West Shore Café and Homewood Mountain Resort offer the perfect pairing of spectacular lakefront and breathtaking mountaintop settings for weddings, rehearsal dinners, and special occasions. 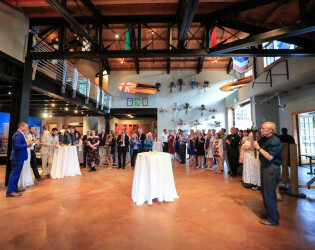 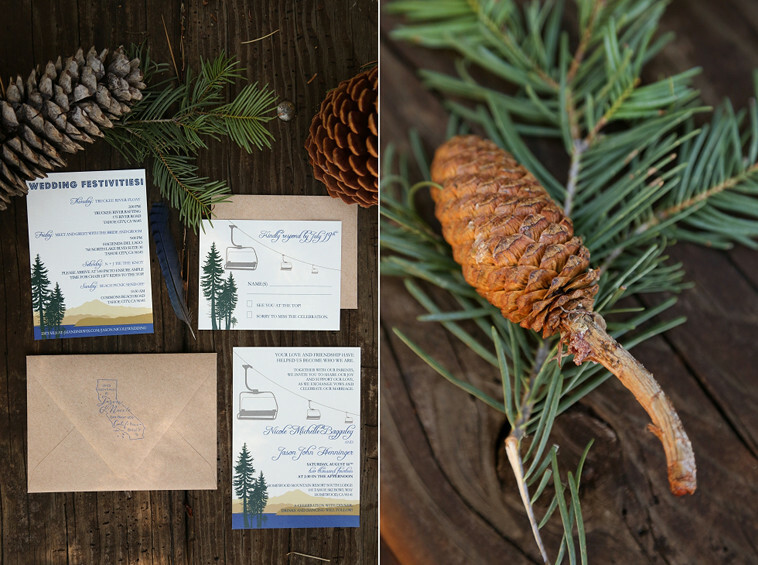 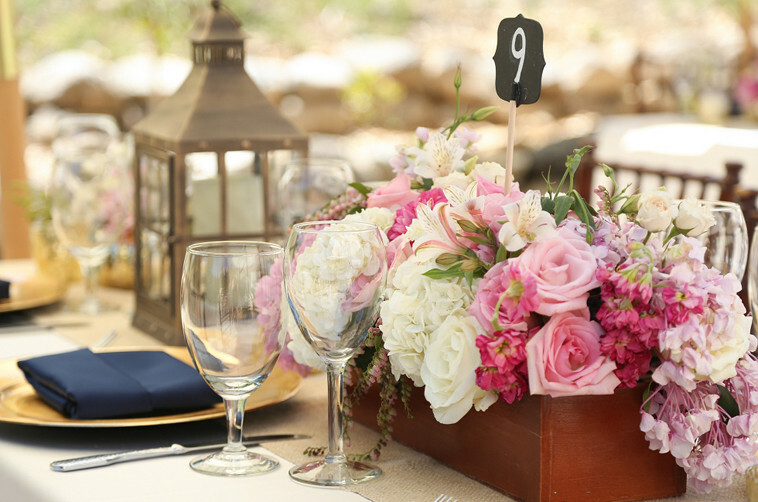 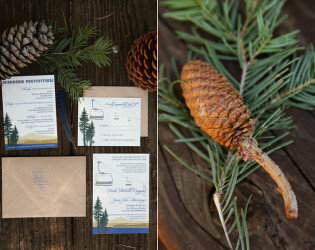 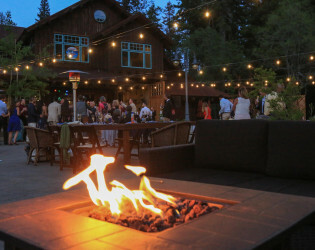 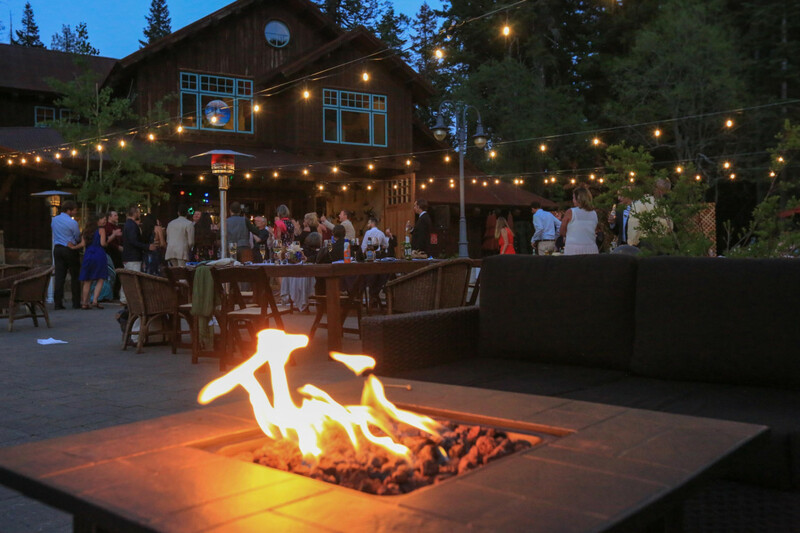 With flexible indoor and outdoor event spaces that make the most of the picturesque views of Lake Tahoe and the surrounding mountain peaks, our striking interior design and impeccable catering services, the West Shore Café and Homewood Mountain Resort are a perfect location for your celebration in Tahoe. 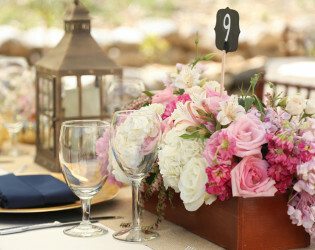 50% of the site fee is required to reserve your date, and the balance is due 30 days prior to the event. 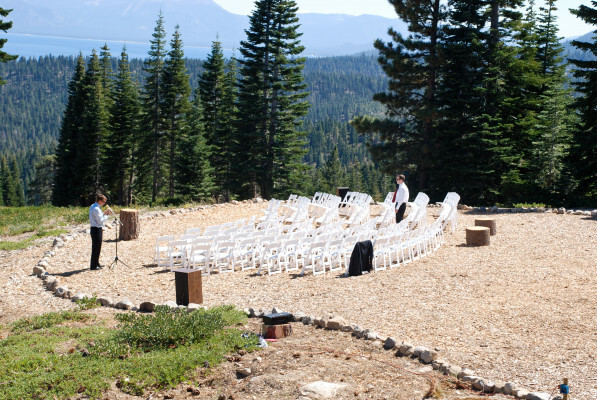 The rental fee starts at $3,000 and varies depending on the date and the space reserved. 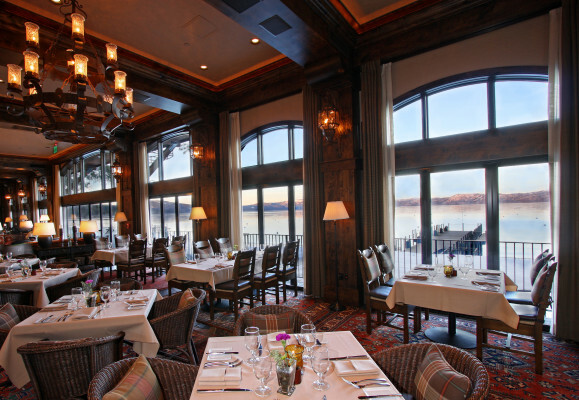 Meals range $45–85/person. 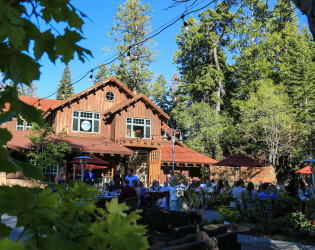 Tax, alcohol and a 22% service charge are additional. 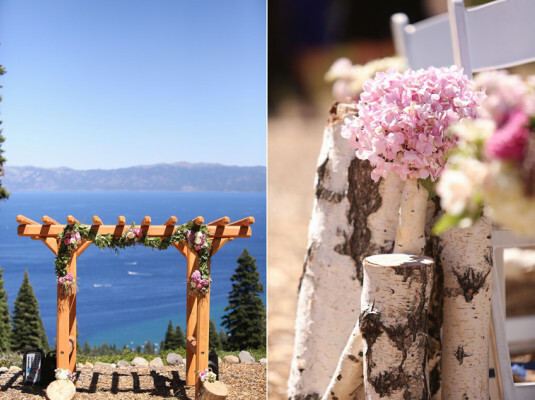 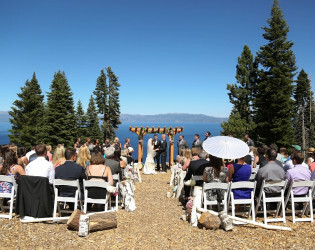 One of Lake Tahoe’s only private locations directly on the lakeshore, we can host your ceremony, cocktail hour, and dinner entirely outdoors on our enchanting deck, mountaintop, event center and pier. 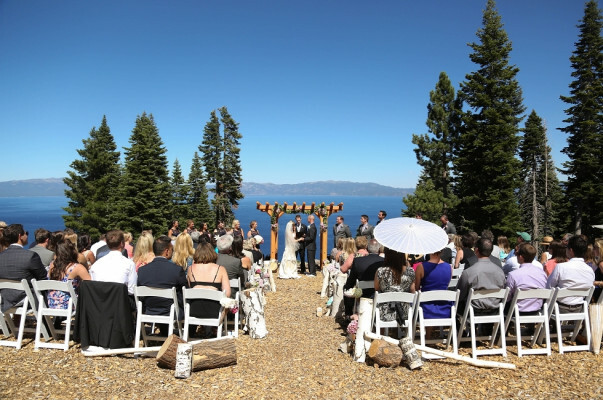 Let the lake be your “something blue” – arrive to your ceremony via boat, or hop aboard immediately following for some time with your new spouse. 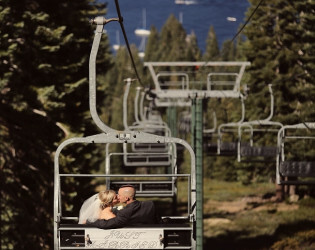 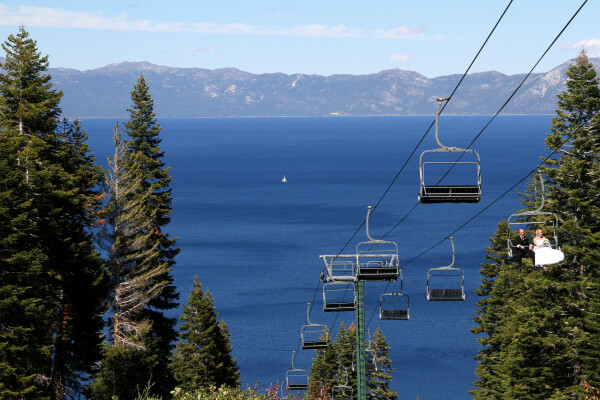 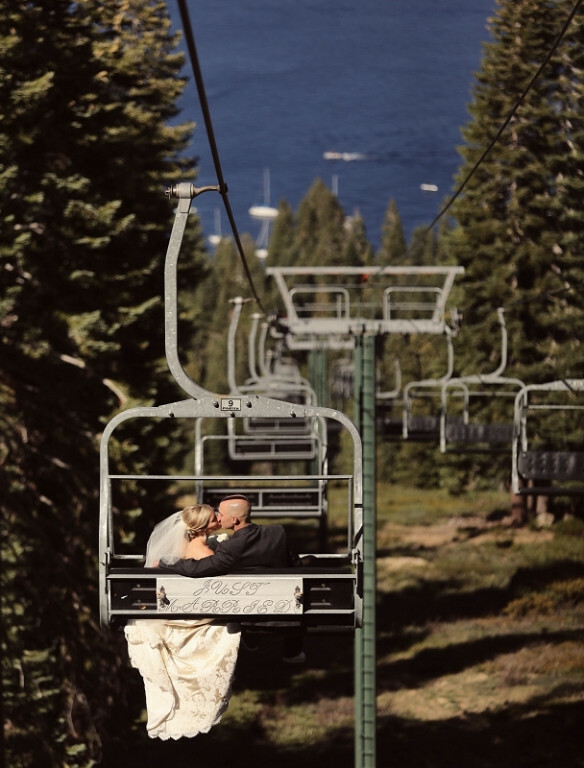 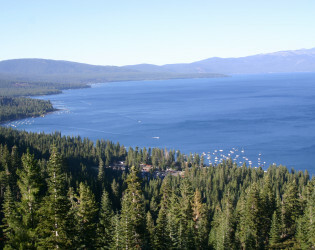 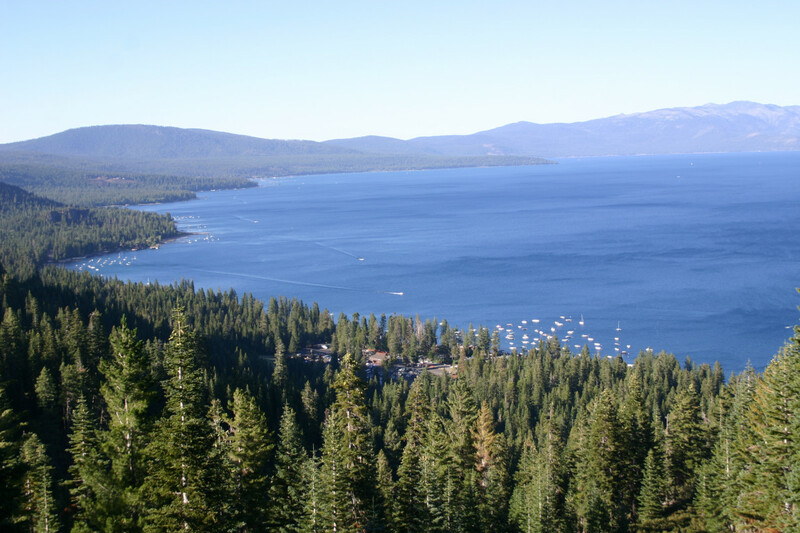 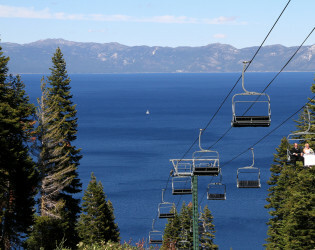 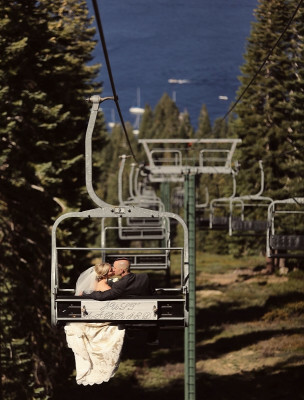 Our mountaintop venue offers unbeatable views of Lake Tahoe, as seen from the top of Quail Chairlift. 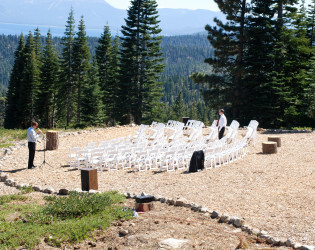 Ceremony location facing the lake.